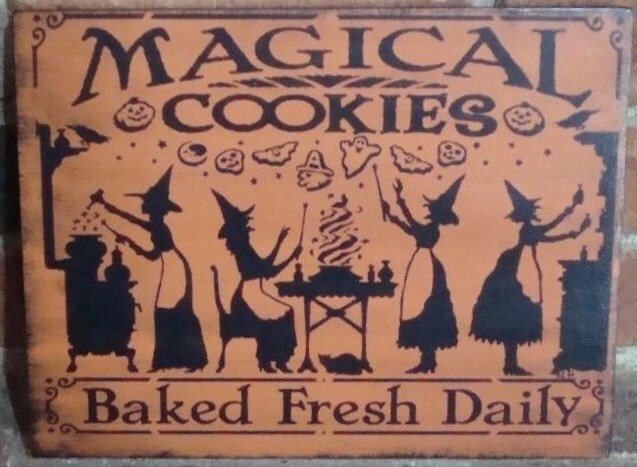 For your consideration is this custom handpainted primitive witches sign "Magical Cookies Baked Fresh Daily". 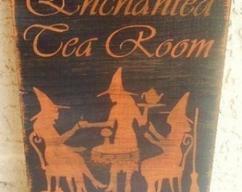 This would be a very whimsical addition to any fabulous cook's kitchen. 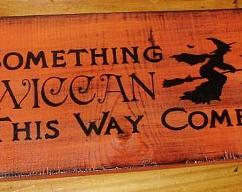 I started with custom cut wood that measure approximately 9" x 12" and painted it a classic harvest orange. 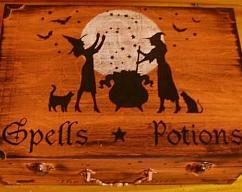 I painted the design and lettering in midnight black and aged it it to give it an old, worn look. So rustic looking! 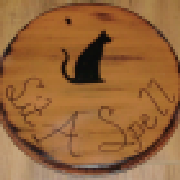 Remember that all of my items are custom painted and be customized-would you like a different color? Let me know! It is sealed with interior/exterior glaze and will come signed and dated by me. Custom painted and will be painted upon your order being placed.